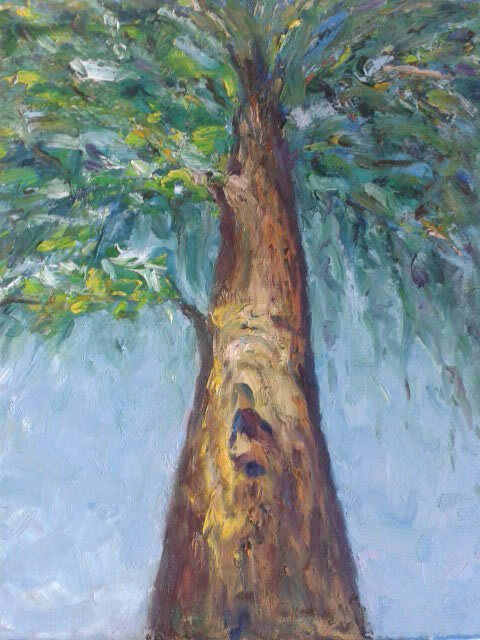 My wife and I have contributed some of our paintings for a SG50 Art exhibition, with part of the proceeds going to World Vision for rebuilding homes hit by the earthquake in Nepal. It will feature works from 6 artists, as well as from budding visually impaired artists from Dialogue in the Dark. Event is from 13-18 June 2015 at Gallery@The Arts House, 1 Old Parliament Lane. Come join us for the event! Below are the pieces we are contributing. My parents sent me for water colour and Chinese painting lessons when I was young. However, I didn’t quite appreciate painting then, and so I quit art. 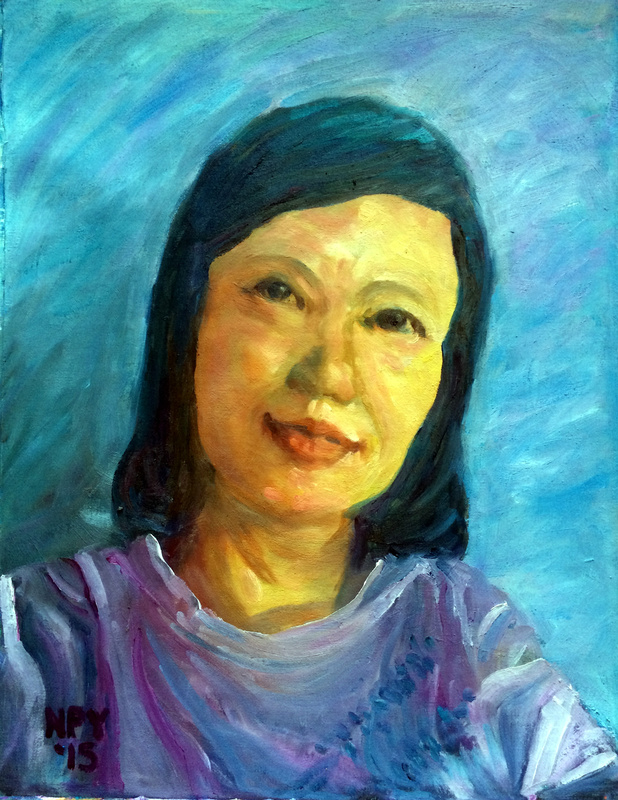 It was only two years ago that I restarted art after my wife had picked up oil and acrylic painting. French Impressionist artist Edgar Degas had said, “Everyone has talent at 25. The difficulty is to have it at 50.” I was born in the year of Singapore’s independence. Now at age 50, I do not think it is too late for me to pick up a new skill. I paint whenever I can find free time in between running my businesses and my active community commitments. I am happy to contribute my pieces for this SG50 art exhibition. 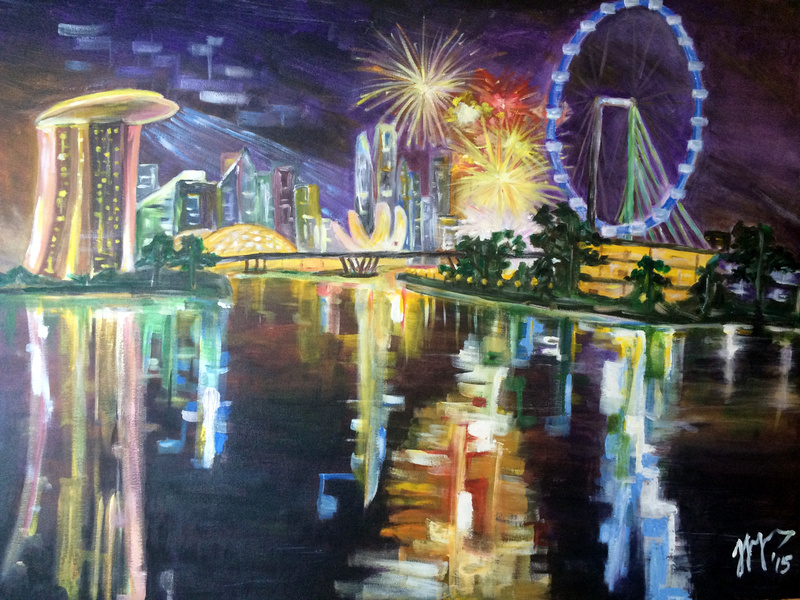 This piece depicts a celebration scene at our iconic Marina Bay. Many national celebrations are now held at the Bay. Most of the buildings in the Bay were built in the last 10 years, many of them on land that has been reclaimed from the sea. It is a reflection of the rapid pace of development in Singapore in our 50 years of independence. The bright colours on the Bay each night is a constant reminder of the busy and bustling global city that Singapore has now become. 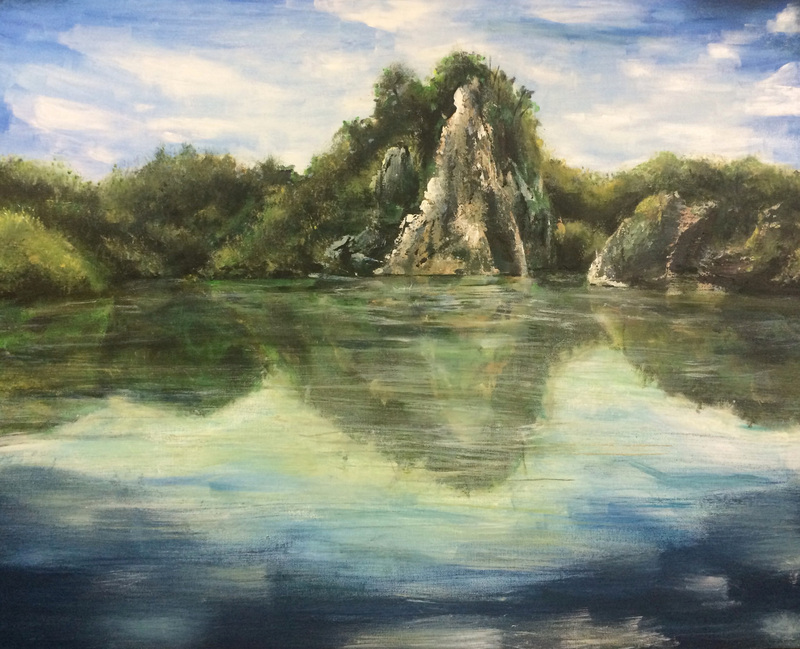 This piece is a scene of the “Little Guilin (小桂林 )” in Bukit Gombak. It is a granite rock sitting within a lake. The place was once a granite quarry, where granite rocks were blasted to obtain needed construction materials as Singapore modernised. It was originally intended to be covered up and a road built on it. However, the place was turned into a pond when the town planners decided that the rugged granite outcrops against a backdrop of green hills made it a beautiful place. Today, it is part of the Bukit Batok Nature Park. In rapidly developing Singapore, there is a need to balance development with having places of natural beauty. 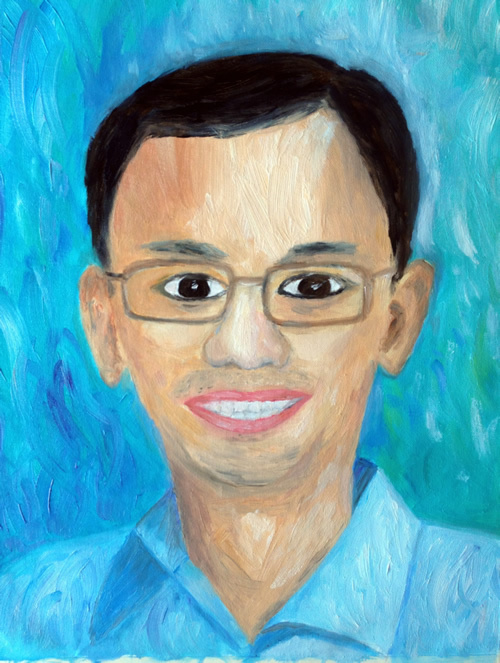 I reconnected with visual art whilst on a project in 2010, working with primary school pupils using different art styles. It was an eye-opening experience to see the works of the great artists through the eyes of the children. 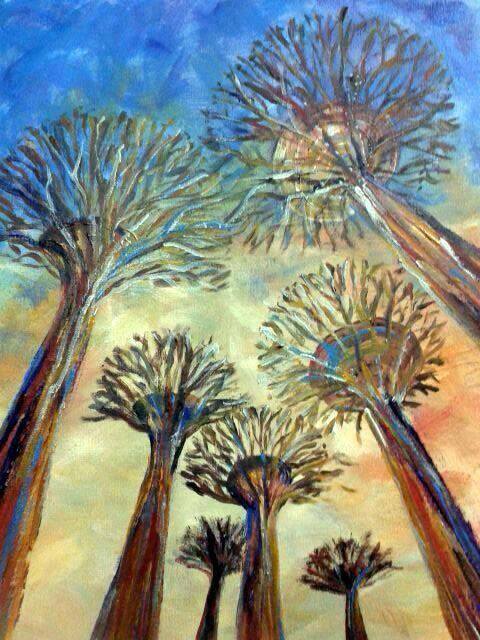 This started my journey to play with different colours, paint mediums and styles… just like children. It is a privilege to contribute my pieces to this SG50 Art event that will raise funds to rebuild homes in Nepal. I had participated in an earlier World Vision’s charity art exhibition organised by Pin Lay and was happy to have played my part to raise funds to build classrooms in Zambia. 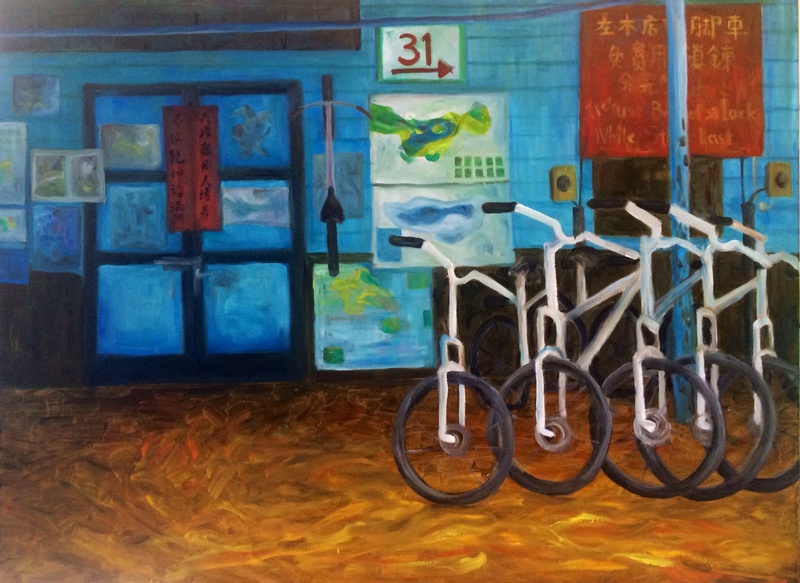 This painting of a bicycle shop in Pulau Ubin depicts life in the rustic and rural island, abundant with flora and fauna. Once, several thousand people live on this island. Today, only about 100 villagers remain. 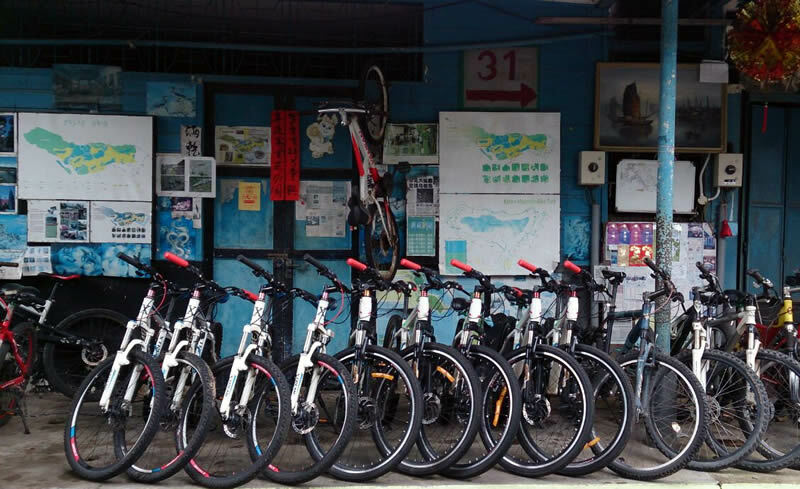 Many Singaporeans visit the island for day-trips to get away from the busy city, often renting bicycles to peddle around the island to get a glimpse of what life in Singapore used to be like with kampungs everywhere. A kampung is a village in the Malay language. This abstract piece depicts a sun rising over stormy seas, radiating its light over the darkness. Singapore has faced many storms since its independence. With resilience and resourcefulness, Singaporeans have risen over these storms and will continue to do so even as more storms come our way. Singapore may be a bustling city, but it is also a city in a garden. Trees play an important part to maintain the green environment of the city. Today, several patches of primary rainforest still remain on the island. These “Supertrees” at the Gardens by the Bay are giant man-made structures which also function as vertical gardens. They are lit up beautifully every evening. Which giant do you prefer – the Forest Giant or a Supertree? 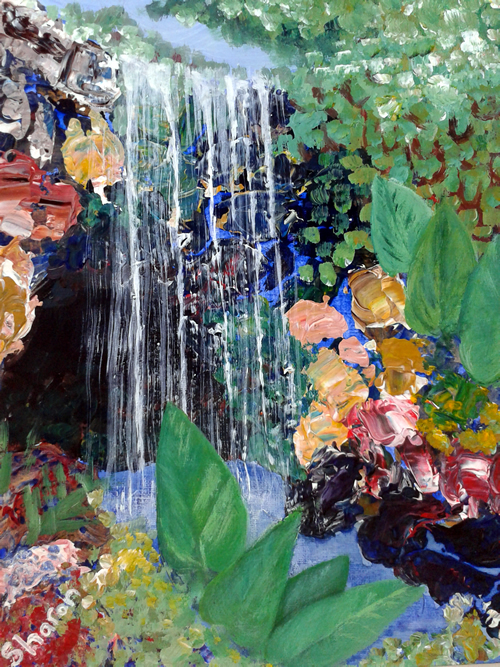 This waterfall is at the Ginger Garden within the 74-hectare Botanical Gardens. The Gardens played an important part in Singapore’s early history as it was the place where plants that were of economic importance were cultivated to assess their suitability for our climate.